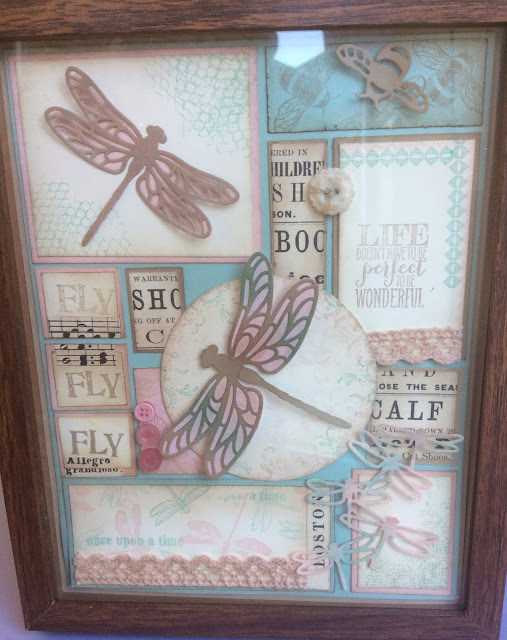 Back in the autumn I created a fairy frame using the copper coloured pine cones. 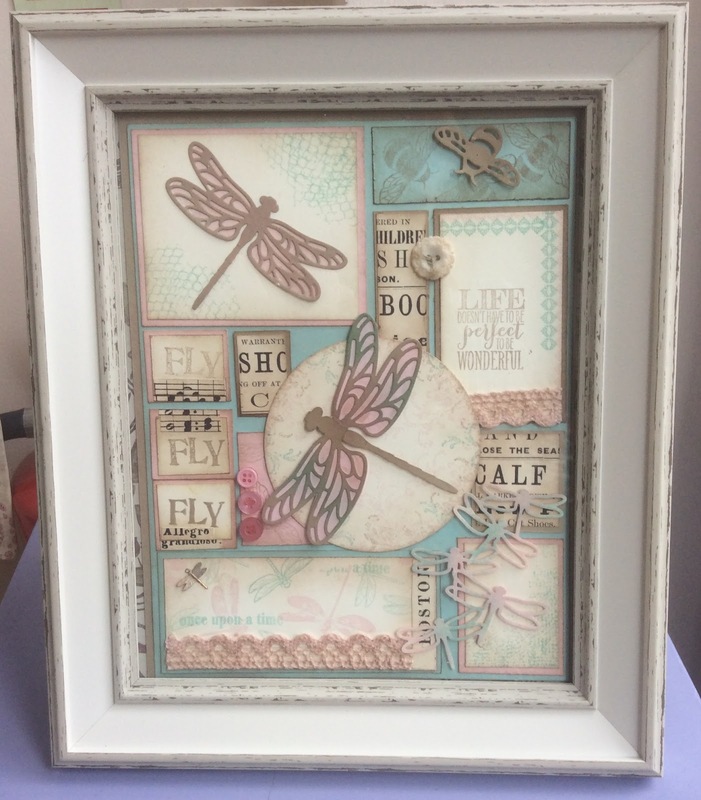 When I bought the embellishments in the spring summer catalogue from the 'Falling in Love' suite I knew how the next Fairy frame would look. The daisy is mounted on florist wire wrapped in Washi tape. I have tried to give the impression of being very close to the ground using ribbons to create the grass. 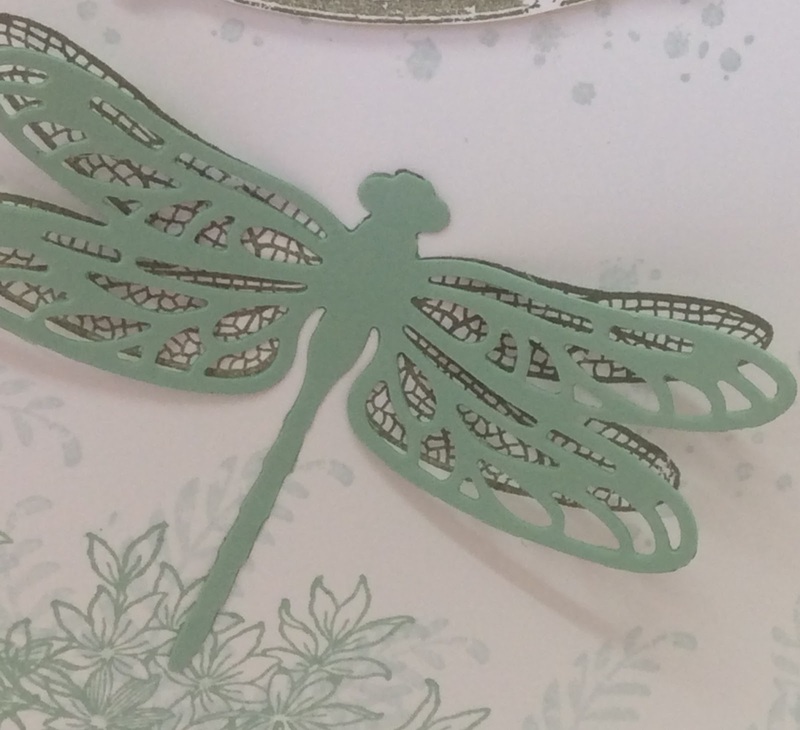 The background is embossed with the wood grain embossing folder then covered with a number of different ribbons including some of the in colour lace and sprinkled with die cut leaves. To the front ribbons have been tied in bundles of three with linen thread then wrapped around to the back, leaving the ends showing to add more texture.Then up front some green card cut with the fringe scissors.Lastly we have the fairy sat on the toadstool, fussy cut coloured with the marker pens. The close up pictures give you more detail than with the naked eye...... hence to the eye my colouring in looks fine in these pictures it looks a bit iffy..... I have painted the frame as the whole thing looked a bit dark. It has turned out just as I pictured it. 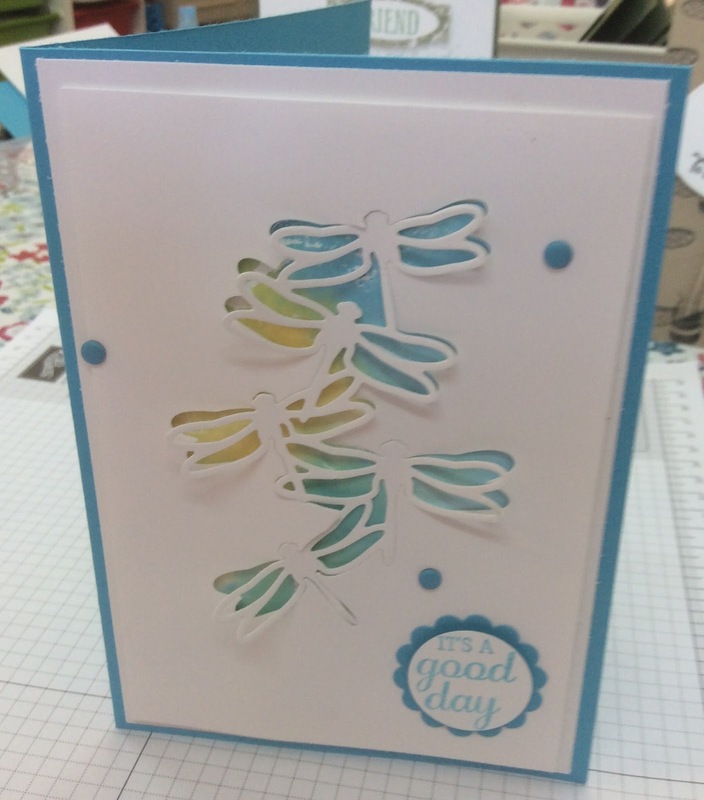 In the background are die cut leaves from the 'Stylish Stems' framelits set. 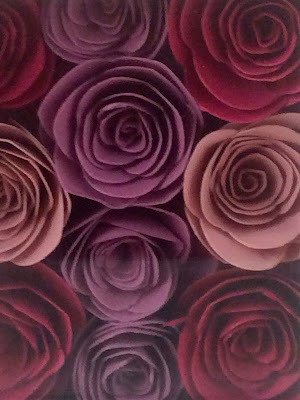 This are stuck to layers of ribbons. These are close ups of the ribbons and grass cut with the fringe scissors. You can see the lace in the background on this one. Well I love it, hope you do to. This is the previous frame. 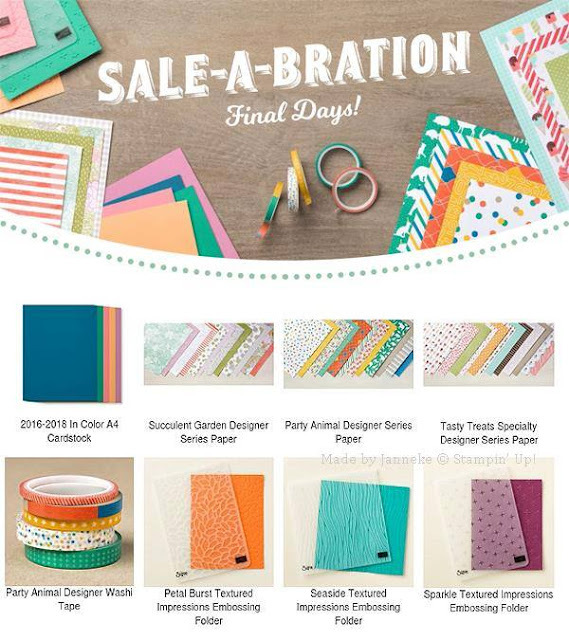 Last day for Sale-a-Bration today. For every £45 you spend you can get a free item of your choice. This is the second card from yesterdays class. This is one that I found on Pinterest here and immediately knew I had to have a go. Its beautiful, so simple. Plus I knew that the ladies in class would love it too. 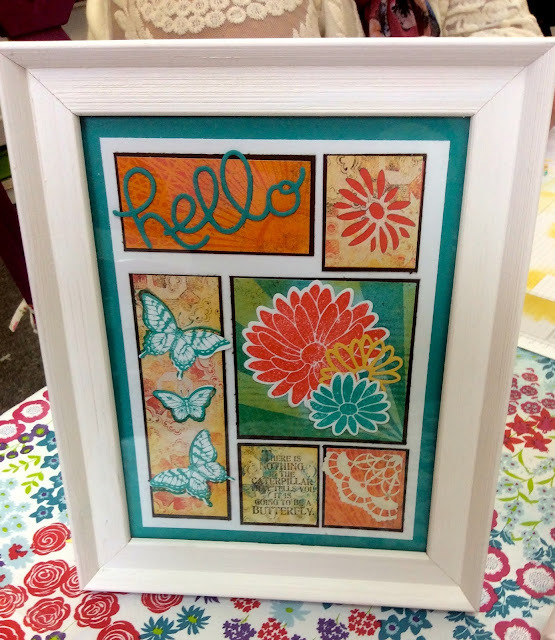 The stitched framelits are great and this is the largest oval in white. 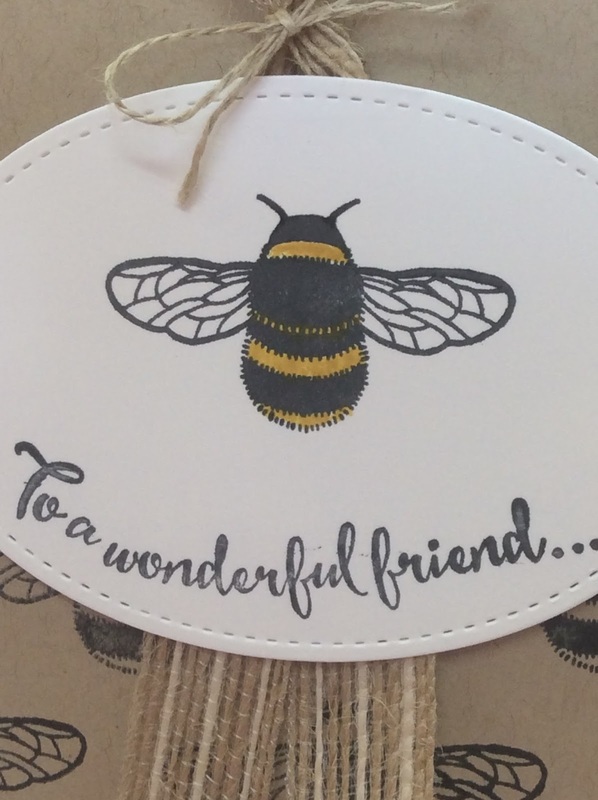 An ideal size for the coloured bee and the sentiment. Please use the hostess code at the top of the page when placing your order. In April I will send you a small gift of Stampin'Up goodies as a thank you. Dragonflies and bumble bees have been requested and we always aim to please. 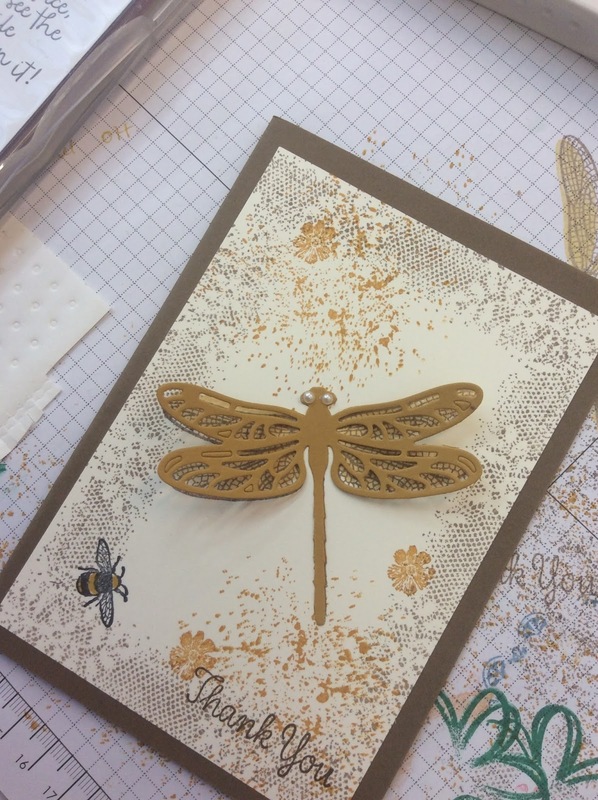 The first card is a continuation of last weeks class where we inked the block, spritzed with water and then put the block onto the card, you could also use the wet wipe technique to get the same effect. 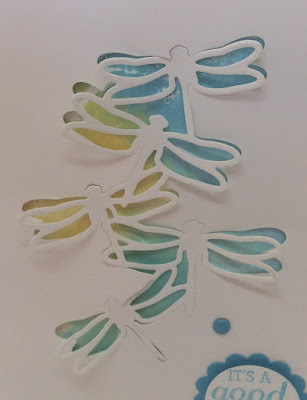 The top layer is cut 1/2 cm smaller than the inked layer then die cut with the cloud of dragonflies. I have removed the die cut and attached this layer to the inked sheet. 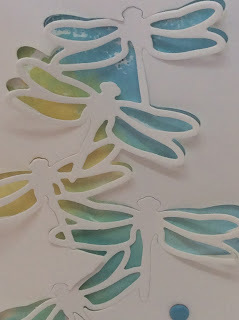 The die cut is then attached with glue just on the bodies of the dragonflies which are then placed back in position, the wings have been gently pulled upwards to give a view of movement. 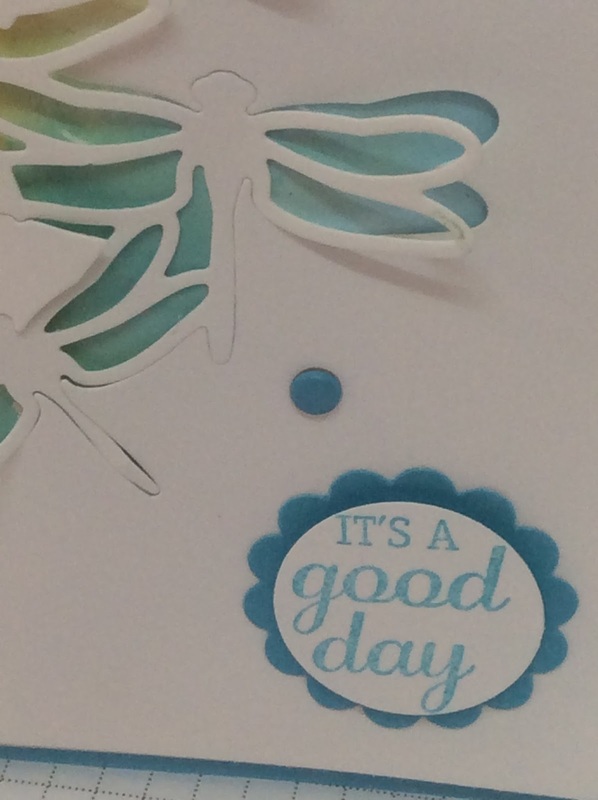 The sentiment is from the 'Best Birds ' stamp set. 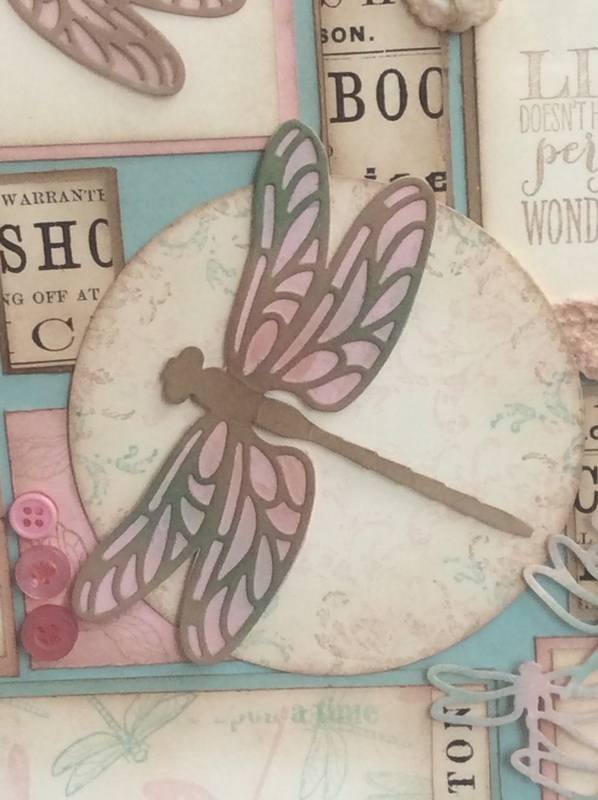 I am really pleased with how this has come out it feels very fresh and spring like. Please use the hostess code at the top of the page if your order is between £25 and £149 if you order online. I will then send you a small thank you gift of Stampin'Up goodies in April. Happy shopping. 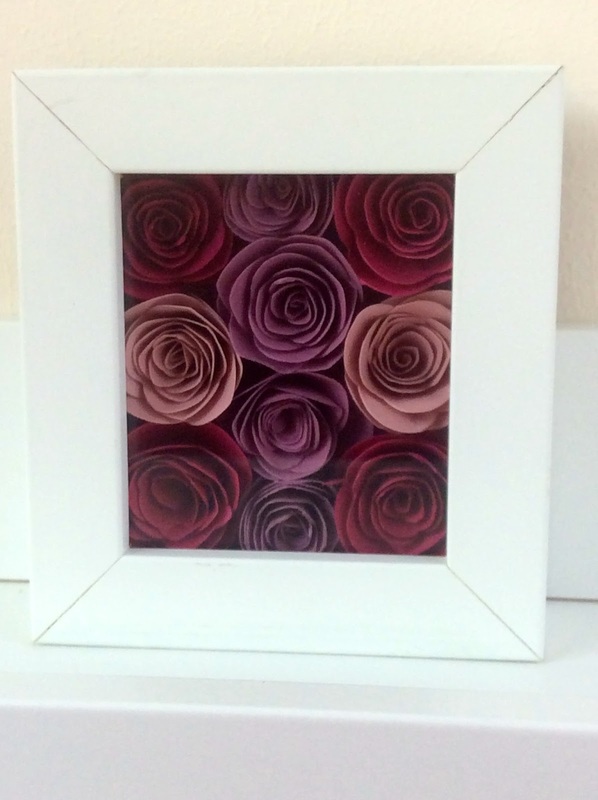 A week tomorrow I am running the class to make this beautiful home decor item. 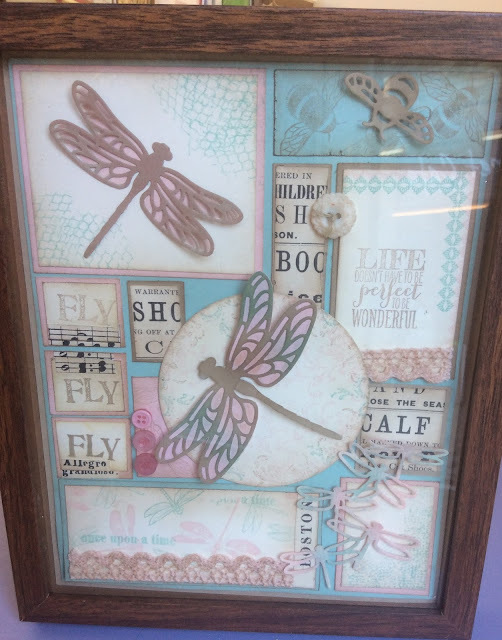 Today is the last day to order the stamps and framelits in time for the class. You can of course just book on the class and use my stamps and dies. By ordering these today or tomorrow you will also get a freebie from the sale a brat ion, plus a gift from me in April as a thank you. Ensure you use the hostess code below when placing your order. These are the stamps. 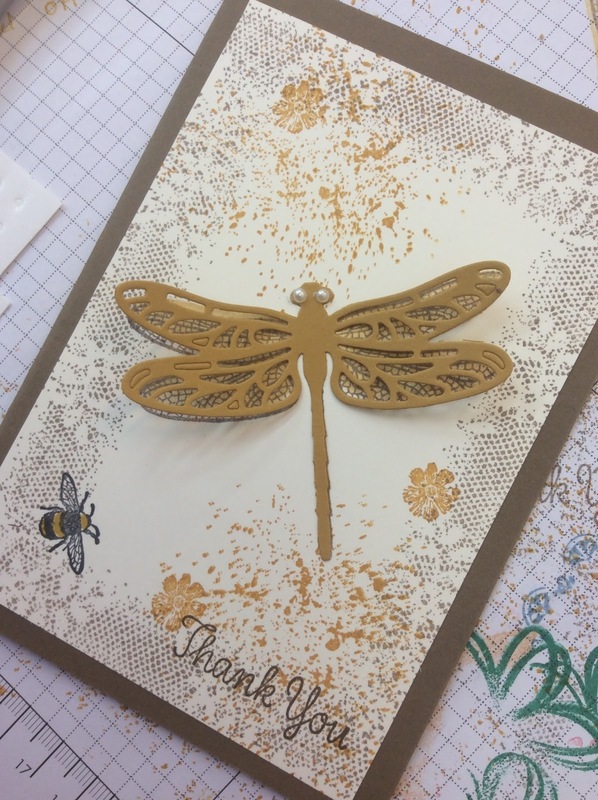 The dragonfly and the bumble bee can be a 2 step image Te dots are a great background stamp and the sentiments are lovely. 10 stamps in total. In the pack of dies there are 7 dies. The largest one does not have a matching stamp, it is much larger than the stamped image. 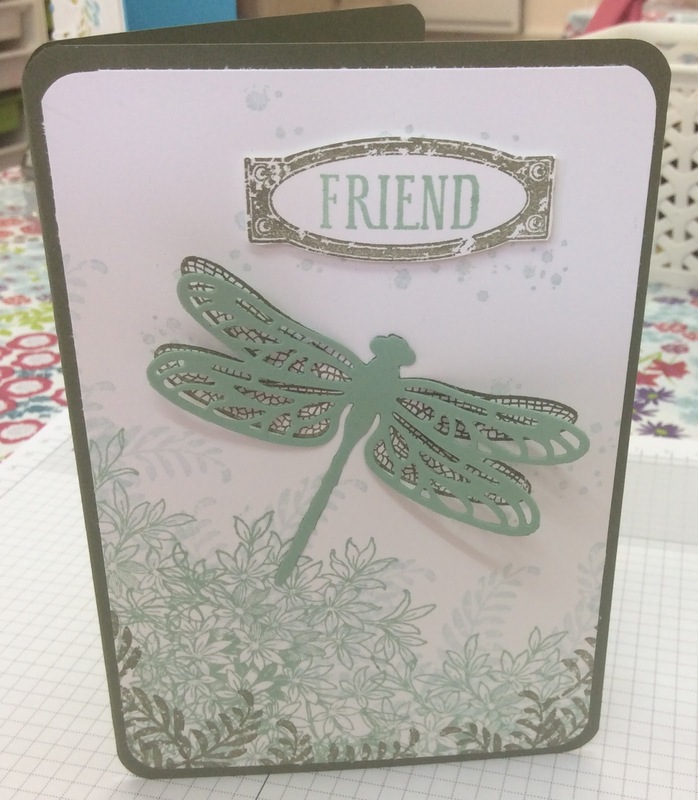 The dragon fly stamp size die has a delicate intricate die as well as an outline which makes them very flexible. 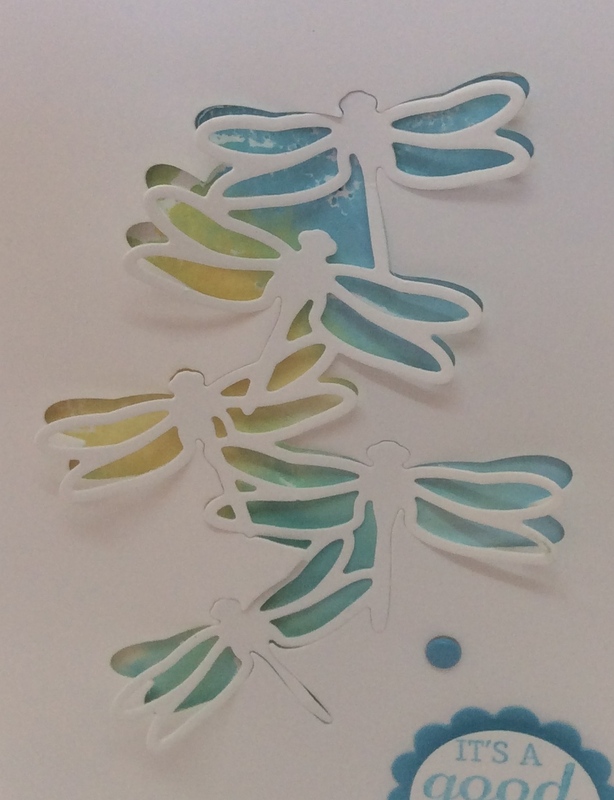 Then you have the little 'cloud' of dragonflies, when these are die cut you have 5 mini dragonflies all joined together, You can trim these and separate them out. Then there is the bumble bee. Stunning. Of course you do need a die cutting machine to use these. Remember if you spend £45 you can choose a free item. Happy shopping. Its very busy in the Den with lots of little jobs that are important, take time but tend to get left as we create new ideas for classes. The big one for me is creating a bunch of Thank You cards. 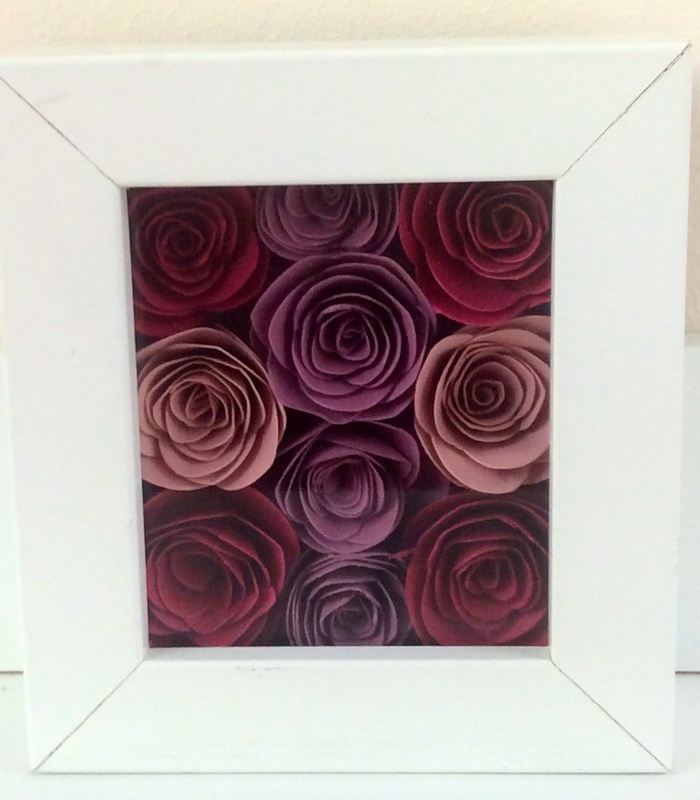 During the last couple of months I have had quite an upturn in online orders which is great. 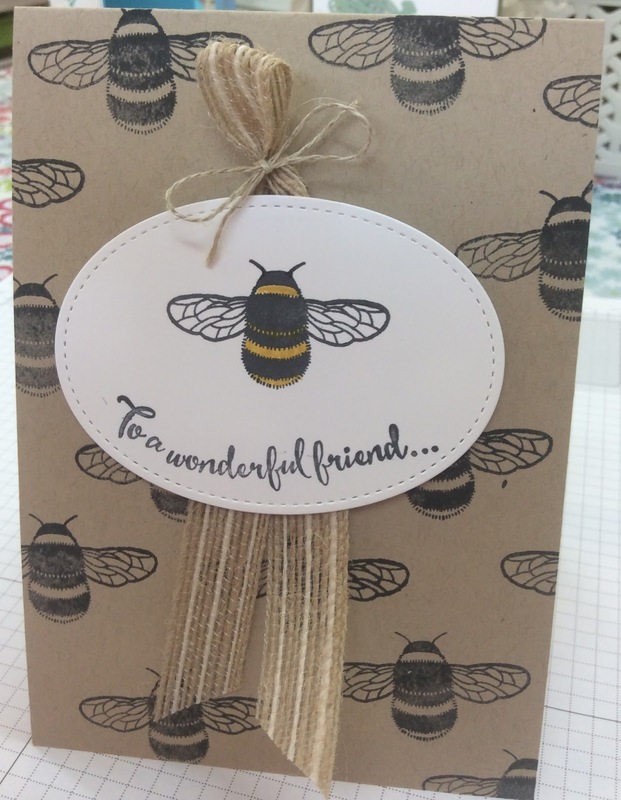 It means my customers get their goodies delivered directly to their door enabling them to get crafting quicker. Win win. Today I have created a whole bunch of thank you cards. 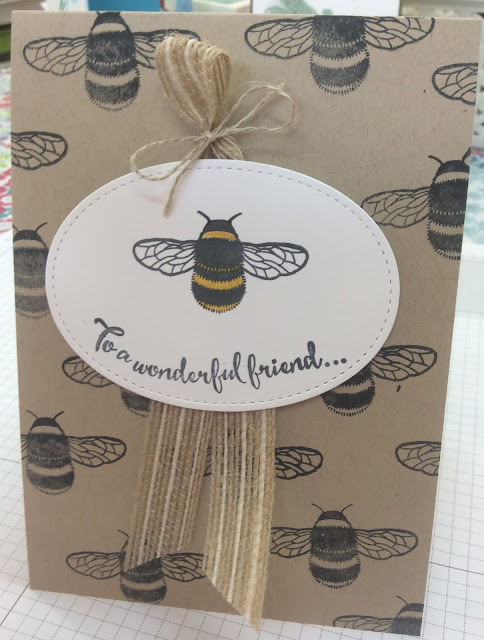 I like to send cards out when I know your order has arrived and I send another one when I send out the goodies bought with the hostess benefits at the begining of the following month. 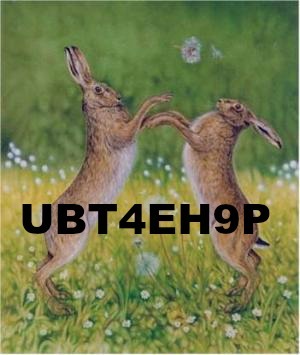 Today I have also added a new hostess code. I closed the other one last Monday night but on Tuesday Stampin'Up announced a third batch of products for free with a minimum £45 spend. So for every £45 spend you get to choose something for free. There are only 8 days left for this offer. 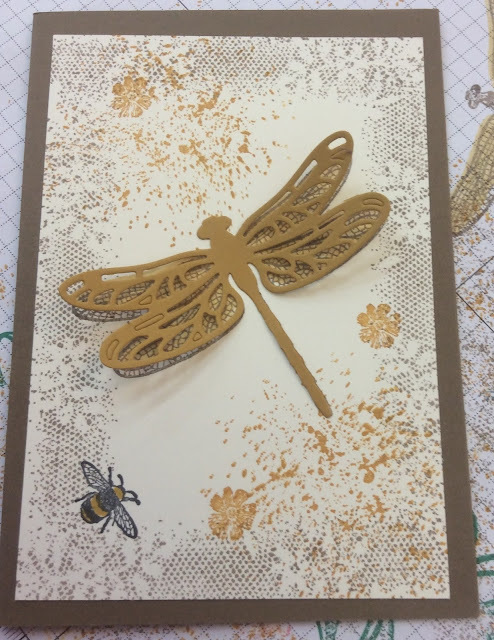 These are two of today's Thank You cards. This little mandala stamp is also one of the free sets. Isn't it stunning. These are the third phase free items. Please use the hostess code if you order is between £25 and £150. I will send you one of these thank you cards and a small gift at the beginning of April as a thank you. I still have my flower die and I had a small box frame that didn't have a back! It was something that looked interesting in Ikea for 99p so I bought one, like you do. This is only 10cm x 11cm so very small but I really like it, what do you think? Today I have a very special make for you. Its been formulating in my head since the middle of last month. 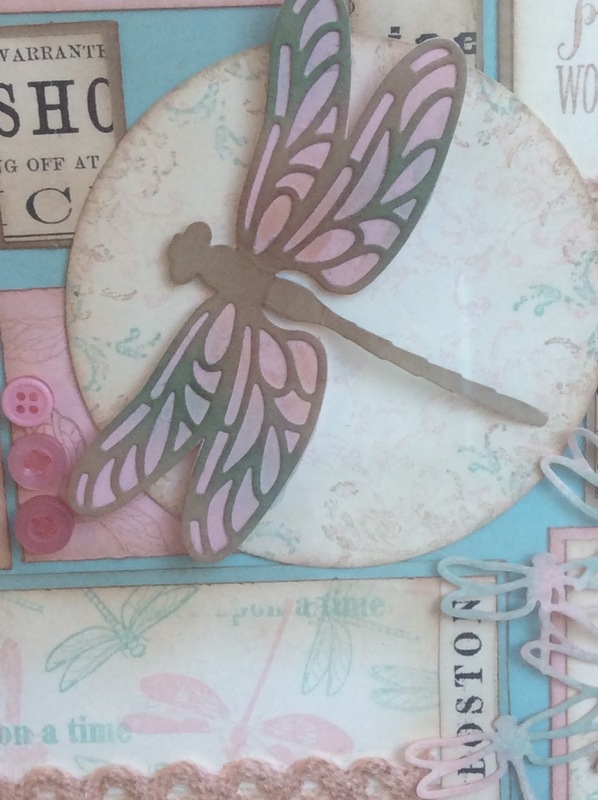 I somehow knew I had to use pink and pale blue for the dragonfly make but what format it would take I wasn't sure. So last Thursday I settled down with a handful of card, some neutrals paper, the neutrals ink with pink and blue, the dragonfly stamps and dies and my Big Shot. This is what I produced...... along with a lots of bits all over the carpet! I wasn't sure about the brown wood frame but the white ones looked even worse and now its been on the side a couple of days I think it adds to the vintage look. 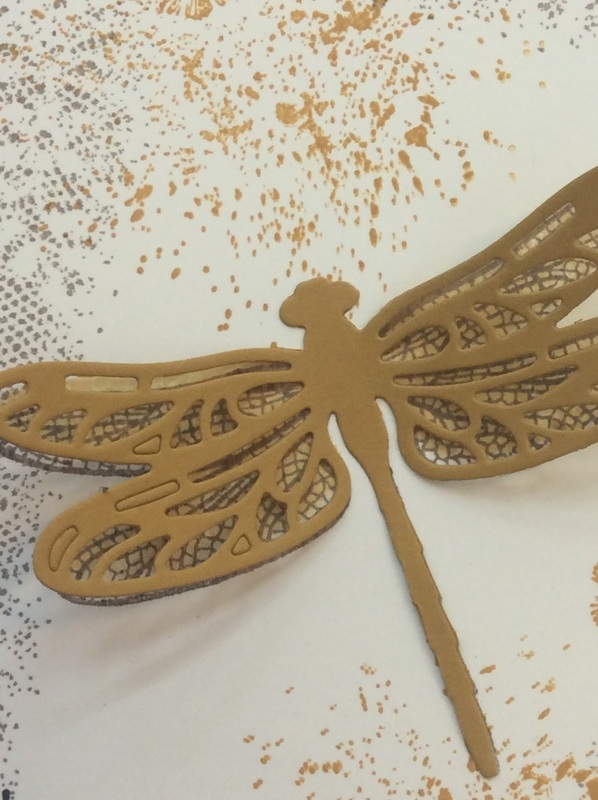 This is the large die cut dragon fly. 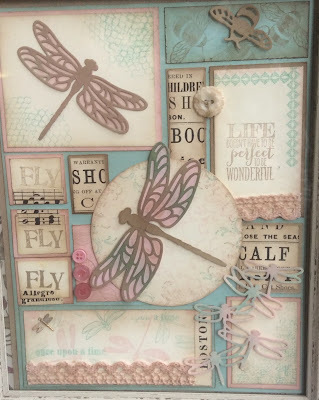 There isn't a stamp to match this so I stuck the die cut onto a piece of white and daubed with the pink pirouette and soft sky. The background cycle I hand cut after drawing around a saucer as I didn't have a die that big. 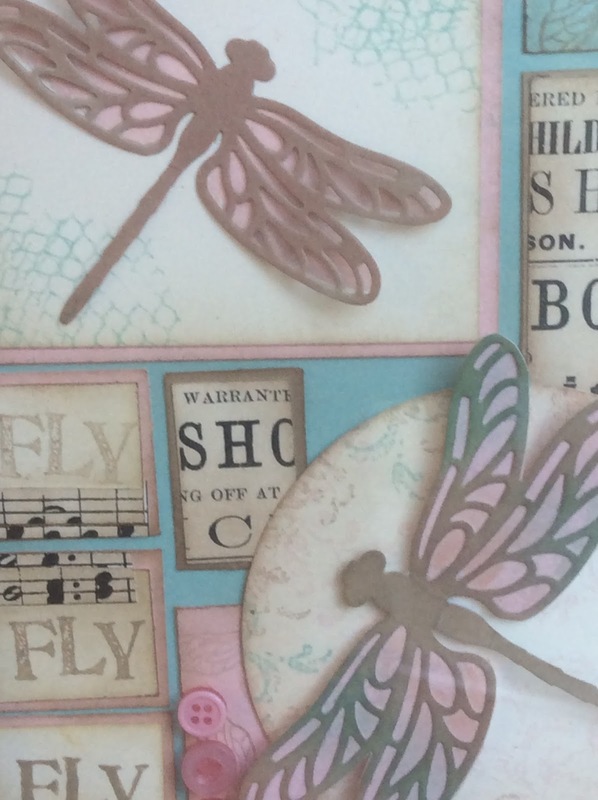 This has been stamped with the Timeless Textures in pink pirouette, soft sky and crumb cake. The printed paper is from my stash of retired stock as is the music but you could use pages from an old book or similar. All the little blocks have been daubed with crumb cake on both layer one and the top layer. 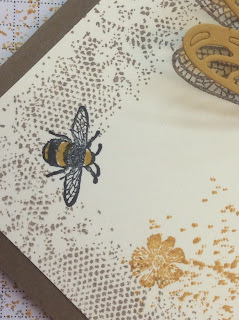 I always use the grid paper on my table and when I daub I start on the grid paper and pull the ink onto the card, this gives a darker edge, this means that all the layers don't blend into one shade . I have used all the image stamps and all the dies to create this frame. 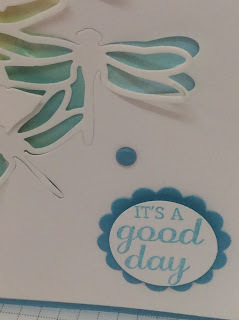 The sentiments are more useful for cards. You can place an order online here or click on any of the links beside the items. I f you do place an online order between £25 and £150 please use the hostess code below. Then in the middle of April I will send you a small gift in the post as a thank you.